Some Mediafire Tips to stay safe! 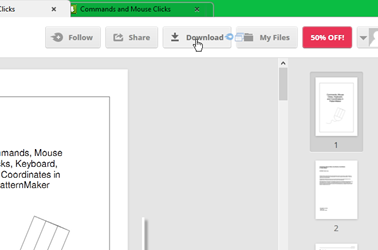 I have several years of experience hosting files on Mediafire and have found a few tips over that time so here they are.On the newly opened PatternMaker Forum I found a wonderful PDF by Heidi Jung that Gary hosted on Mediafire. This is wonderful – if you just want to read it! But – if you want to SAVE it - you have to follow that Download tab at the top. When you do that – this is what a lot of people will see! The ads can’t be prevented completely unfortunately BUT – we CAN prevent them showing on our PCs which is just as good! It is NOT what I would like to see at all! So – there is a wonderful way to avoid all that. What you need to do is install Adblock plus – which is a plugin (or addon) for most browsers. A beautiful clean ad free page with a clearly defined Download button. It is NOT necessary to join Mediafire to be able to download anything from it! 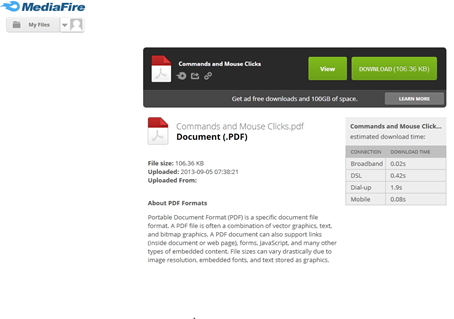 To do this you only need to follow the link to the file and download it. Occasionally, Mediafire will ask you to fill in a Captcha form. This is a very random occurrence and nothing to be concerned about. It is part of their security system. 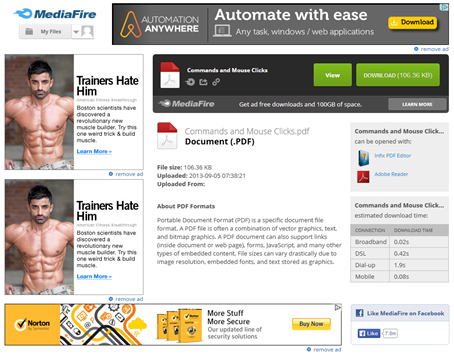 Mediafire scan every file that is uploaded to their site with Bitdefender. I hope this info is useful to keep people safe!